In 1836, Baron de Tuyll donated two lots to the village for the construction of a school. The first school was built of cedar logs and was located on lots 12 and 13 on Bayfield Terrace. 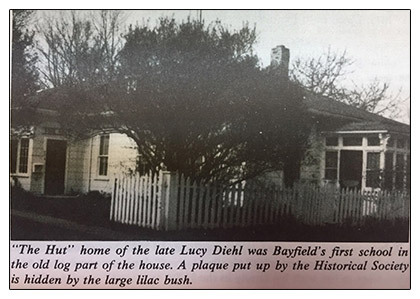 It is known to many as "The Hut" and is Bayfield's oldest building. 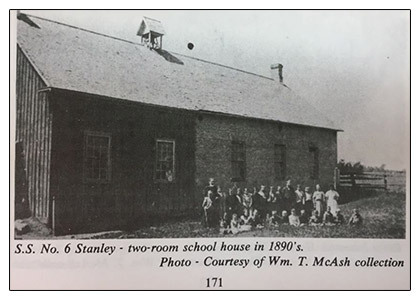 A bigger school was soon needed and through the donations of lots 236 and 237, a second school constructed of brick was built in 1862. A back part was later added in 1875 and a second story was added in 1892. 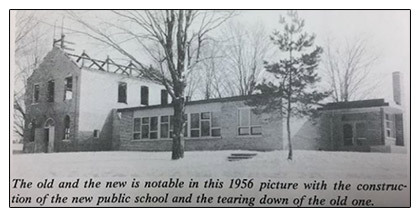 A new public school was constructed in 1955 with the first classes taking place on November 14, 1955. The formal opening of the school was not held until May 30, 1956. A larger and more central school, Huron Centennial Public School, was constructed outside of Brucefield in 1967. 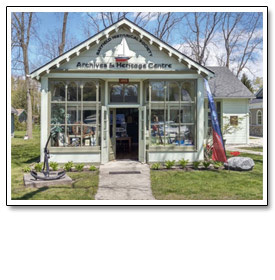 Pictures and information are from the following books: Corporation of The Village of Bayfield History 1876-1985 by The Bayfield Historical Society and Township of Stanley History 1836-1986 by The Stanley History Committee.